People often experience some kind of blockage in the nasal passages or throat, persistent cough, and find it hard to breathe. 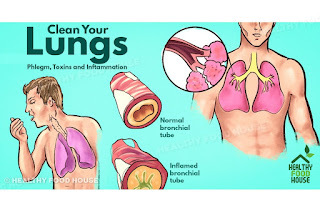 Phlegm is the thick viscous substance secreted by the mucous membrane of your respiratory tract whose role is to fight infections, especially in the case of a severe cold. It accumulates in the throat and chest, thus congesting it and the body uses cough to expel it. Excessive amounts of phlegm commonly occur in the case of cold, flu, sinusitis and viral or bacterial infections, as well as allergic reactions due to asthma, hay fever, or damaged vocal cords. In these cases, people often experience fever, weakness, a runny nose, constant cough, and difficulties breathing as well. 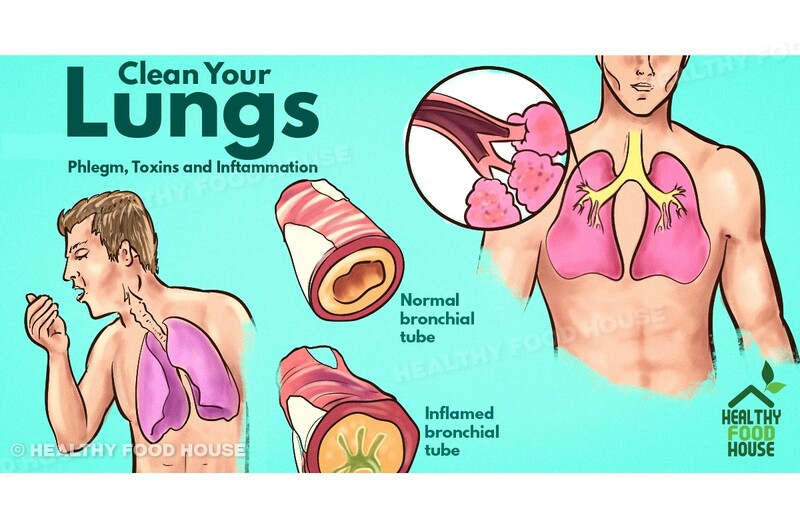 If not treated on time, the phlegm might lead to clogging of the bronchial tubes, and secondary upper respiratory infections. The following homemade remedies will eliminate phlegm and mucus in the throat and chest, and treat all these accompanying symptoms, in a safe and effective way. Honey has powerful antibacterial, antiviral and antifungal properties that calm the irritated respiratory tract and lead to an instant relief. Lemon, on the other hand, is high in vitamin C, which boosts the immune system, and clears away congestion. In a bowl, add the honey and lemon juice, and stir well. Drink the concoction right away three times daily to relieve congestion. Ginger can act as a natural decongestant and antihistamine and has powerful antiviral, antibacterial and expectorant properties. Therefore, it soothes chest and throat congestion by drying out excessive mucus and stimulating the elimination of buildup. You should chew 3-4 raw ginger slices daily, or drink ginger tea a few times daily. Heat the water in a pan, and when it starts to simmer, add the ginger and peppercorns. Cover the pan, leave it to boil for a minute, and then lower the heat. Simmer for 5 to 7 minutes until it turns pale yellow. Strain and add a tablespoon of honey. You should drink this tea 2-3 times daily by sipping to instantly soothe the congestion. Apple cider vinegar alkalizes the body and maintains a healthy pH balance in the body, which will prevent excess production of mucus in the body. You can add a tablespoon of raw, unfiltered apple cider vinegar to a glass of water and mix well. Then, drink it 2-3 times daily to eliminate phlegm or gargle to soothe a sore throat. The active compound of turmeric, curcumin, has powerful medicinal properties and destroys bacteria that are the main culprit for the appearance of bacteria. Add a tablespoon of turmeric to a glass of warm water, add the salt, stir and gargle with the solution. Repeat 3-4 times daily to loosen mucus and reduce phlegm in your throat. Gargling with salt water is extremely helpful, as the water calms the throat, and the antibacterial qualities of salt destroy bacteria and fight infections. Steaming is extremely effective way to loosen up mucus and phlegm in the throat. The inhaling of vapors will provide instant relief. Breathing in steam allows the vapors to travel down your throat and loosen up clogged mucus, thus providing instant relief. Infusing the water with herbs is also extremely beneficial. Add half a teaspoon of thyme and dried rosemary to the water, and lean over the bowl to inhale the steam. Put a towel over the head, so the steam can go directly into the face. Repeat 3-4 times daily. You can also enjoy a steamy shower twice daily. Consume spicy foods such as garlic and peppers to thin the mucus and break up the congestion.